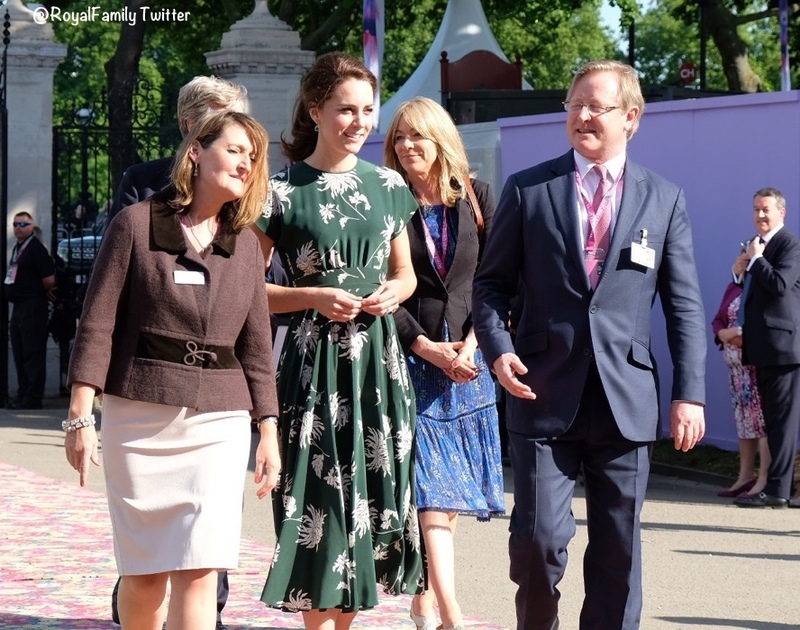 The Duchess wore a new dress by Eponine London for today’s school visits. 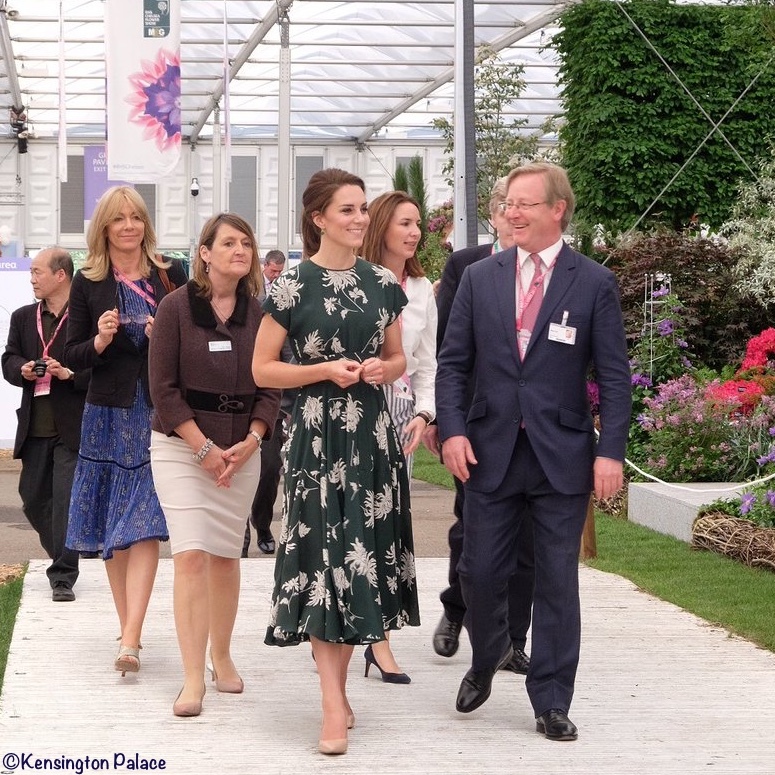 The Duchess was in a new dress by a new designer for today’s visit to the Royal Horticultural Society Chelsea Flower Show. Kate was wearing a silk frock by French fashion house Rochas.